With Mountain Lion just around the corner, can Apple think up more big cats to name their releases after? OS X is full of little design touches that have redefined what people expect from a personal computer, and which complement Apple hardware. In fact, you can't (legally) install the operating system on anything but a Mac, so the two are forever entwined - and that gives Apple advantages that other computer manufacturers simply don't have. With Apple's latest MacBook Air, for example, you'll find special keys on the keyboard that link specifically to new functions in OS X Lion, such as Mission Control. It's not a case of style over substance, either. OS X - Apple subtly dropped the 'Mac' from its name in 2011, indicating that it's destined for more than just computers - is all about functionality. "We wanted to make this the dream user interface for somebody who has never touched a computer before, and that's really hard to do," said ex-Apple CEO Steve Jobs when he introduced Mac OS X 10.0 to the adoring Apple faithful for the very first time at Macworld Expo in San Francisco, January 2000. Join us as we explore the world's most beautiful operating system and find out how Apple created it. From the outset Apple had one goal in mind when OS X was designed, and that was to make the next great personal computer operating system. The company wanted it to be the kind of operating system with which a beginner could feel intuitively at home, and a pro user could be taken to places they'd never thought they'd be. That's a tall order, but eight major versions, millions of sales and a decade later, we think Apple did it. OS X 10 was launched with a new interface called Aqua. It was named after water because one of the original designers said it looked so good that "when you saw it you wanted to lick it!" It was certainly revolutionary compared to what people had seen before. The ideas behind OS X - in fact, the concept for windows, menus, pointers and so on themselves - go way back to 1979, when Steve Jobs was admitted to the research centre Xerox PARC for a sneak peek at the world's first ever GUI (Graphical User Interface), in exchange for some Apple stock options. Bear in mind that at the time all computers used text input - there were no windows, no colours and no mouse to move a cursor around with. What the young Mr Jobs saw, in his own words, was "mind-blowing"; he realised instantly that this was the way that all computers would work one day. Inspired by that glimpse into the future he launched the Apple Lisa in 1983, which, while not the first commercial computer to feature a GUI, was certainly one of the earliest. In 1984 the Macintosh 128K was unveiled to the public, and the rest, as they say, is history. OS X itself actually started life outside of Apple, as part of the NeXTSTEP project developed by Steve Jobs during his tenure at NeXT, the company he'd founded after being booted out of Apple in 1985. While still at the company, Jobs had tried to create a next-generation operating system, but had met with little success. When he was forced out by the Apple board he was free to try again, but this time without being weighed down by all the old problems he'd experienced while at Apple, a company which was suffering from a huge slump in sales at the time. While the NeXT Computer was never a success, the operating system showed promise and Jobs was brought back into the Apple fold in 1996 when Apple acquired NeXT for $429 million. NeXTSTEP, now called OpenStep, came with him. In 2000 Apple, perhaps with nothing left to lose, decided to scrap the existing code base of its operating system, then called OS 9, and introduce a radical new operating system called OS X. OpenStep formed the basis of the OS X operating system we know and love today. The first version of OS X was codenamed Cheetah, and this tradition of naming each release after a big cat continued with 10.1 Puma, 10.2 Jaguar, 10.3 Panther, 10.4 Tiger, 10.5 Leopard, 10.6 Snow Leopard and now 10.7 Lion. In the late 80s Microsoft famously aped the look and feel of the Mac with Windows 3.1, and the two companies kept improving their operating systems in an effort to outdo each other. It was a battle that Microsoft was destined to win, but while Windows won the desktop battle largely through sheer force of numbers, it looks like Apple is going to win the tablet war. After all, OS X forms much of the basis of the iOS touch-screen operating system that runs on the iPhone and iPad, and when the dust finally settles it could well be that Apple will be the dominant force in this area for years and years to come. An operating system is defined by the little things like buttons, radio buttons, tickboxes (or in the American lingo, checkboxes), pop-up lists, sliders, windows, scroll bars and transparency; but it's not only about how things look, it's also about how they behave. The Dock, for example, has been a defining feature of OS X since the beginning, but has improved in usability along the way; Finder became more visual with Cover Flow; Snow Leopard seamlessly integrated Time Machine; and Lion gave us full-screen apps. The watery feel of the Aqua interface that debuted in OS X 10.0 has certainly been through many changes over the last ten years. Cast your eyes over the screen shots on these pages and you'll see how a more reserved grey, slate-like colour scheme that reached its peak in Lion has gradually been replacing the colourful look of the original Aqua interface. This is fitting; when OS X was launched, the iMac range was full of colour and transparency, and the colourful clamshell iBook (a precursor to today's MacBook) was just around the corner. As Apple's Mac design has become more streamlined and professional, so has OS X. Indeed, today's OS X 10.7 Lion matches the look and feel of the unibody aluminium MacBook Pro down to the colouring - and rarely in the history of computing has there been such a winning combination of hardware and software. This was the first version of OS X that the public got their hands on. As you'd expect it was far from perfect; it was often sluggish, it crashed frequently and lacked basic features. Hardware compatibility was also a problem, but nevertheless the seeds of a great operating system were sown. Puma was offered as a free update to Cheetah users, and went a long way towards fixing the problems with that release. It was faster, enabled DVD playback and supported 200 printers by default, but the system still felt sluggish to use, so most Mac users continued running OS 9. Things started to look up for OS X with Jaguar, and many people considered it to be the first usable release. Mail got a spam filter and the ability to network with Windows computers was improved. This was also the first time the 'big cat' codename was used publicly by Apple, rather than as just an internal company name. With Panther, Apple started to drop support for its older Macs - beige G3 and 'Wallstreet' PowerBook G3s were no longer supported, and iChat required a 333MHz processor to use video chat. OS X now came with its own web browser, Safari, but it was criticised for being too simplistic. Tiger introduced many of the OS X features that we know and love today: Spotlight, Dashboard and Smart Folders, for example. In January 2006, when Apple began using Intel chips in its hardware rather than PowerPC, a 4.4 update to Tiger meant the operating system now worked on both platforms. The last edition of Mac OS X to support PowerPC chips, this saw the introduction of many key features such as Stacks, a shelf for the Dock, Time Machine for easy backup and Boot Camp for installing Windows on a Mac. The latter caused much grumbling among old-school Mac users, who were aghast at the thought. 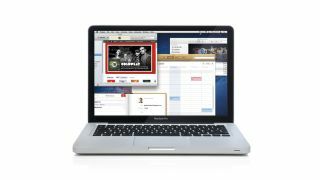 While it introduced few new features, Snow Leopard contained many changes under the skin of OS X, future-proofing the OS and adding support for Exchange. It was also the first 64-bit version of the operating system, which meant developers could make more powerful programs for OS X. This was the first download-only version of OS X to be released by Apple. It had many features inspired by the iPad OS - particularly Launchpad, full-screen apps for more focused working and a new array of gestures to use with your trackpad. It also removed a lot of the colour from the interface. Building on the base of Lion, Mountain Lion is schedule for release in Summer 2012 and will see several new additions including a unified messaging client for iMessages and iChat conversations called Messages, Notification Centre, Reminders and Notes, which function like their iOS equivalents, and AirPlay.